The Air Mobility Command Museum Foundation Fund-Raiser Golf Tournament on Friday, June 20, 2014, was a huge success as many golfers turned out for an afternoon of fun in fantastic weather! As this tournament is the Foundation’s largest fundraiser, all the proceeds from this tournament are going to help us fulfill the mission of the AMC Museum as an aviation and aerospace, education, scientific, cultural, historical, and inspirational facility for the general public and the Air Force community. It was a beautiful day for golfing, and everyone had a wonderful time. The winning Low Net team, with a score of 57, was comprised of Sonny Kruhm, Billy Harding, John Zook, and Ken Dyer. Runner-up in the Low Net was the team of Art Ericson, Mike Quarnaccio, Chuck Miller, and Phil White. The Low Gross winners, with a score of 60, was the team of Sandy Sanders, Gary Sanders, and Brandon Sanders. A high-light of the day was on the 16th Hole where Col (Ret) George Chabbott again sponsored a $500 award to the player getting their second shot closest to the par-5 hole. Bill Harding, who was on his game, mastered a shot to 3′ 8″ to take home that prize. The Foundation wants to thank Bill for donating half of his winnings back to the Museum. 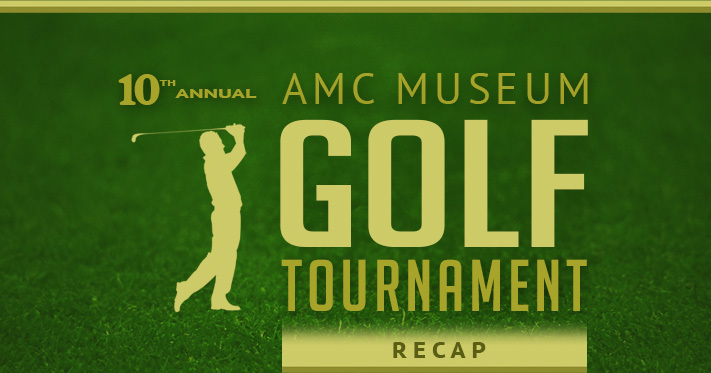 Thinking ahead, we are already planning for next year’s 11th Annual AMC Museum Foundation Golf Tournament. Please give consideration to joining us for a day of fun in 2015. AMC Museum Foundation Bob Mench Capitol Tire & Auto Service, Inc.
Our sincere thanks go out to all of the above for making our 10th Annual AMC Museum Foundation Golf Tournament a huge success! Finally, this event could not have occurred were it not for the Golf Tournament Committee which put in many hours of preparation. For me, golf is more than just a game. It mirrors who I am and what makes me tick. The constant challenges and desire to conquer. To win and be the best, but to walk off the course humble knowing tomorrow is a brand new game.